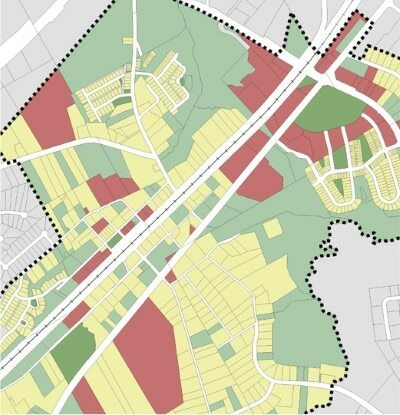 TSW is currently working with the City of Suwanee to update its 2009 Downtown Master Plan. 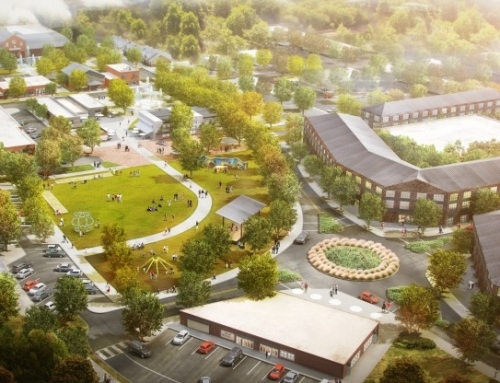 Suwanee is already considered a leader in the region for its vibrant Town Center, greenway system, public art program, and smart growth model that focuses on walkable, mixed-use growth. 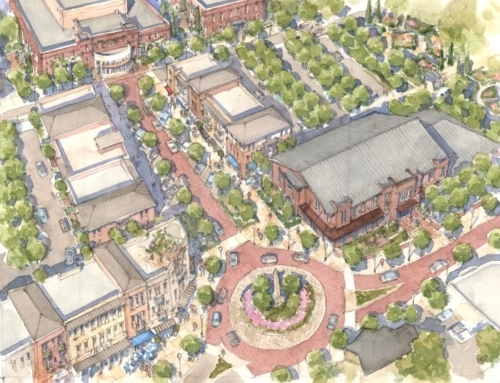 TSW already serves as Suwanee’s town architect to review developments for compliance with the city’s design objectives. TSW’s task is twofold. 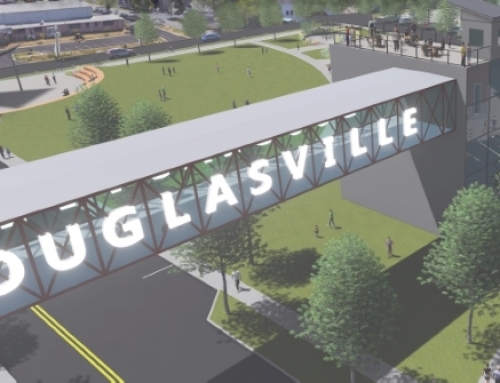 The Downtown Master Plan must be updated to reflect the significant progress on implementation made in recent years and meet eligibility requirements for the Livable Centers Initiative. In this regard, the plan comprehensively addresses transportation, economic development, and land use. TSW’s second task was to develop detailed conceptual plans for sites identified by the City as likely to develop in this economic cycle. 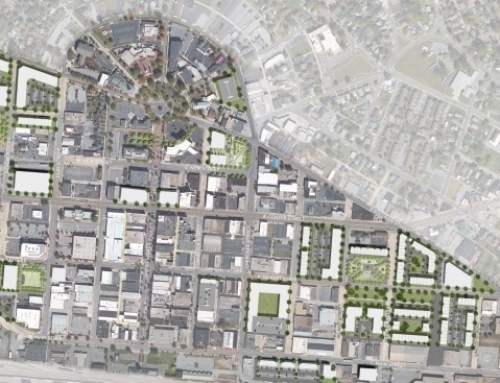 These catalytic sites, with potential incentives from the City, could further the vision of the plan. 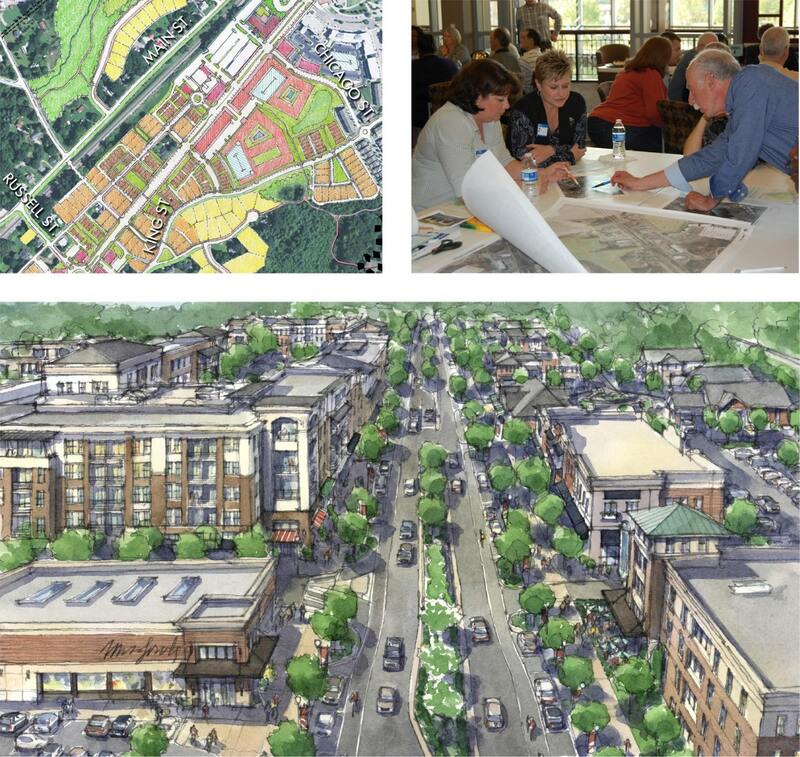 Various alternatives for each site were vetted with the public at a Visioning Workshop as well as at a Developer Day. 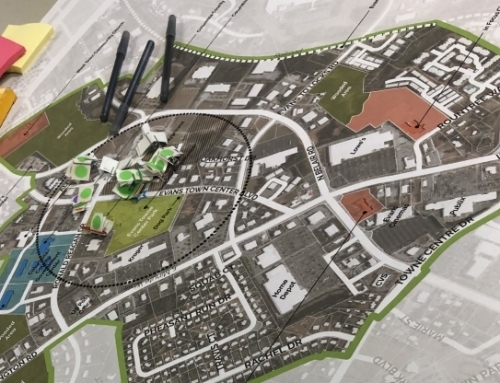 A major emphasis of the plan was to design the framework for a new proposed urban green space that would provide parkside development opportunities to invigorate and connect to the Town Center.Creative public engagement techniques allowed the public to contribute to the plan in a fun and meaningful way. These included an exercise in which improvements to Buford Highway (the main north-south route in the study area) were laid out on the floor with colored tape, and photographs along the wall allowed participants to envision the future of the corridor.